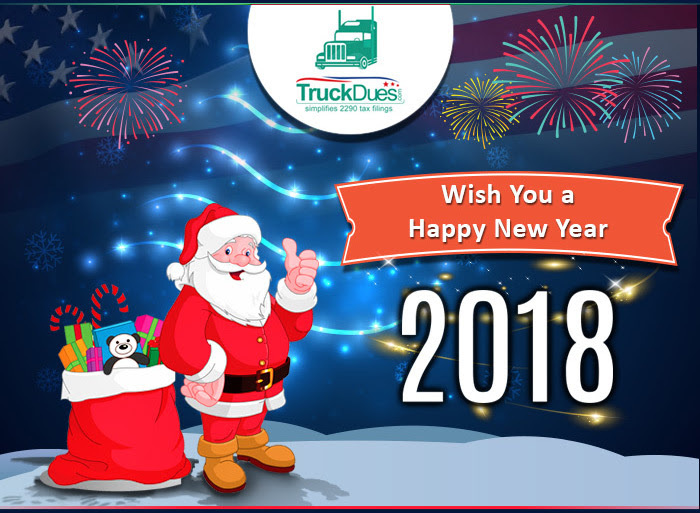 Truckdues.com wishes everyone a Happy New Year in Advance! New Year is right around the corner. Many people hold parties at home or attend special celebrations to celebrate the upcoming New Year. In many cities, large scale public events are held. So it is always be a good feeling for us to be among the crowd during gatherings for an occasion like New Year. Witness a Parade to feel more live and enthusiastic.While you could find a New Year’s Eve party nearly anywhere you go, some cities definitely do it better than others. You may certainly consider check these below celebrations out. A trip to Walt Disney World in Orlando is a rite of passage for most American children. While most would be ecstatic to visit any time of the year, New Year’s Eve is an especially magical time to visit the Magic Kingdom. Expect a dazzling display of fireworks and, of course, all your favorite Disney characters there to help you and the family ring in the New Year. Plus, you could certainly do worse than celebrating New Year in warm weather! Besides the fireworks display at the main park, there are also usually New Year’s events going on at the other Disney-affiliated resorts. No matter what time of the year, the partying never seems to stop in downtown Las Vegas. So, you’d better believe that New Year’s is an especially great time to visit Sin City. Of course, nearly all the bars and clubs have their own events going on, but you don’t need to spend any money to enjoy yourself on this night. Get a good vantage point to watch fireworks from all of downtown’s major casinos. While the New Year celebrations may attract a lot of tourists, the events and fireworks are appropriate for both visitors and long-time residents. What list of famous American New Year celebrations would be complete without New York City? New Year’s Eve in The Big Apple isn’t just the most famous party in America; it’s the most famous party in the world! We’re talking millions of people all crowding together in Times Square to watch the ball drop. However, while NYC may bring the crowds, it isn’t necessarily all fun and games. Many of those who choose to visit say that the cold and the crowds make the experience less than pleasant. At this time, we would like to make you aware of the near term HVUT deadline, which is due by Dec 31st, 2017 for vehicles first used since November 2017. Also, the IRS e-file servers are currently shut down die to scheduled annual maintenance since Dec 26th, 2017. Any tax returns e-filed during this non-operational period would not be processed by the IRS until the maintenance period is ceased. However, you can still e-file your tax returns through www.truckdues.com so your tax returns will be placed on our secured servers and will be submitted to the IRS after recommencement and tax returns will be processed on First In First Out basis. Wish you and your family a joyful, bright, healthiest, happiest, new year ahead. Please feel free to reach our support team @ (347) 515-2290 [9. AM through 5 PM, Central Standard Time including weekends and all major federal holidays] or write us: support@truckdues.com or Live chat with our support team for instant help. This entry was posted in 2290 e-file, EIN, Form 2290, HVUT 2017 -2018, Truck Tax Online and tagged 2290 e file, Agriculture Vehicle, American Trucking, can form 2290 be efiled, can you e-file form 2290, e file form 2290 irs, e file heavy highway vehicle use tax return, e-file for form 2290 excise tax filers, e-file-Form-2290, e-filing your form 2290, ein, federal heavy highway vehicle use tax, Form 2290, Form 2290 Amendment, form 2290 application, form 2290 category w, form 2290 contact number, form 2290 download, form 2290 due, form 2290 e file providers, form 2290 exemption, form 2290 explained, form 2290 extension, form 2290 federal excise tax, form 2290 filing date, form 2290 heavy highway vehicle use tax return instructions, form 2290 heavy highway vehicles, form 2290 help, form 2290 highway use tax, form 2290 instructions 2017, form 2290 irs online, form 2290 july 2017, form 2290 late penalty, form 2290 renewal, heavy duty truck tax, heavy goods vehicle tax bands, heavy goods vehicle tax rates, heavy highway motor vehicle use tax, heavy highway vehicle tax, heavy highway vehicle tax 2290, heavy highway vehicle tax form 2290, heavy highway vehicle tax return, heavy highway vehicle tax return form 2290, heavy highway vehicle use tax, heavy highway vehicle use tax contact, heavy highway vehicle use tax deductible, heavy highway vehicle use tax due date, heavy highway vehicle use tax e file, heavy highway vehicle use tax efile, heavy highway vehicle use tax exemption, heavy highway vehicle use tax form, heavy highway vehicle use tax information, heavy highway vehicle use tax instructions, heavy highway vehicle use tax mailing address, heavy highway vehicle use tax online, heavy highway vehicle use tax phone number, heavy highway vehicle use tax refund, heavy highway vehicle use tax return, heavy highway vehicle use tax return address, heavy highway vehicle use tax return due date, heavy highway vehicle use tax return form 2290, heavy highway vehicle use tax return instructions, heavy highway vehicle use tax return online, heavy truck excise tax, heavy truck fuel tax, heavy truck highway tax, heavy truck highway use tax, heavy truck road tax, heavy truck road use tax, Heavy Truck Tax, HEAVY TRUCK TAX 2290, heavy truck tax deduction 2017, heavy truck tax form, heavy truck tax irs, heavy truck tax write off heavy vehicle use tax online filing, heavy truck use tax, heavy vehicle excise tax, heavy vehicle fuel tax credit, heavy vehicle road tax, Heavy vehicle tax, heavy vehicle tax 2290, heavy vehicle tax break, heavy vehicle tax clearance hawaii, heavy vehicle tax credit, heavy vehicle tax credit 2017, heavy vehicle tax deduction 2017, heavy vehicle tax form 2290, heavy vehicle tax payment, Heavy Vehicle Use Tax, heavy vehicle use tax cost, heavy vehicle use tax due date, heavy vehicle use tax exemption, heavy vehicle use tax exemption form, heavy vehicle use tax fees, heavy vehicle use tax filing, heavy vehicle use tax form, heavy vehicle use tax instructions, heavy vehicle use tax online, heavy vehicle use tax questions, heavy vehicle use tax refund, heavy vehicle use tax return, heavy vehicle use tax return form 2290, heavy vehicle weight tax, how do i e file form 2290, how to e file form 2290, HVUT, hvut 2017, HVUT 2017 -2018, hvut 2290, hvut 2290 due date, hvut amount, hvut cost, hvut due date, hvut filing, hvut form 2290, hvut form 2290 instructions, hvut form 2290 online, hvut instructions, hvut tax, IRS, irs form 2290 contact number, irs form 2290 due date, irs form 2290 e file, irs form 2290 heavy highway vehicle use tax, irs form 2290 heavy highway vehicle use tax return, irs form 2290 instructions 2017, irs form 2290 mailing address, irs form 2290 online, irs form 2290 payment, irs form 2290 pdf, irs form 2290 questions, irs heavy highway vehicle use tax, irs heavy vehicle tax form, IRS watermark, is form 2290 filed annually, Late 2290, Late HVUT fees, Late HVUT payment, new year 2018 best places, new year 2018 concerts, new year 2018 events, new year 2018 events near me, new year 2018 holiday, new year 2018 party, Owner Operators, pay heavy highway vehicle use tax online, pay heavy highway vehicle use tax return online, pay heavy vehicle tax online, semi truck tax deductions, semi truck tax depreciation, Truck Licensing, Truck Tags, truck tax online, Truck Tax Online 2290 e file, Truckers, Vehicle Identification Number, VIN Correction, what is a form 2290, what is heavy highway vehicle use tax, what is the heavy highway vehicle use tax, when is a 2290 form due, when is heavy highway vehicle use tax due, where to pay heavy highway vehicle use tax on December 30, 2017 by Truck Dues.